Acacia Liquid Extract, Organic Acacia (Gum Arabic) Dried Gum Tincture Features and description: NON GMO! Gluten Free! Highest Strength Acacia liquid extract! Acacia liquid extract contains ONLY natural ingredients! High Quality Acacia liquid extra..
Acai Liquid Extract, Organic Acai (Euterpe Oleracea) Berries Tincture Features and description: NON GMO! Gluten Free! 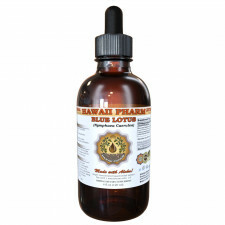 Highest Strength Acai berry liquid extract! Acai liquid extract contains ONLY natural ingredients! High Quality Acai berry liquid..
Acerola Liquid Extract, Organic Acerola (Malpighia Glabra) Dried Berry Tincture Features and description: NON GMO! Gluten Free! Highest Strength Acerola liquid extract! Acerola liquid extract contains ONLY natural ingredients! High Quality Acerola..
Adrena Care Liquid Extract, Adrenal Support Tincture Features and description: NON GMO! Gluten Free! Highest Strength Adrena care liquid extract! Adrena Care liquid extract contains ONLY natural ingredients! High Quality ad..
African Cherry Pygeum Liquid Extract, African Cherry Pygeum (Prunus Africana) Bark Tincture Features and description: NON GMO! Gluten Free! Highest Strength, Super concentrated African Cherry Pygeum liquid extract! African Cherry Pygeum tincture c..
African Padauk Liquid Extract, African Padauk (Pterocarpus Soyauxii) Dried Bark Tincture Features and description: NON GMO! Gluten Free! Highest Strength African Padauk liquid extract! African Padauk liquid extract contains ONLY natural ingredient..
Agar Agar Liquid Extract, Agar Agar (Gelidiella Acerosa) Dried Herb Powder Tincture Features and description: NON GMO! Gluten Free! Highest Strength Agar Agar Tincture Supplement! Agar Agar liquid extract contains ONLY natural ingredients! High Qu..
Agrimony Liquid Extract, Organic Agrimony (Agrimonia Eupatoria) Tincture Features and description: NON GMO! Gluten Free! Highest Strength Agrimony liquid extract! Agrimony liquid extract contains ONLY natural ingredients! High Quality Agrimony liq..
Ai Ye Liquid Extract, Ai Ye, 艾叶, Mugwort (Artemisia Vulgaris) Leaf Tincture Features and description: NON GMO! Gluten Free! Highest Strength, Super concentrated Ai Ye liquid extract! Ai Ye tincture contains ONLY natural ingredients! High Quality A..
Ailanthus Liquid Extract, Dried bark (Ailanthus Altissima) Tincture Features and description: NON GMO! Gluten Free! We produced this extract using a cold maceration method of extraction to ensure that the broad spectrum of therapeutic plant compou..
Ajwain Liquid Extract, Organic Ajwain (Trachyspermum Ammi) Seeds Tincture Features and description: NON GMO! Gluten Free! Highest Strength, Highest Quality Ajwain (Trachyspermum Ammi) liquid extract! Ajwain liquid extract contains ONLY natural ing..
Akebia Liquid Extract, Dried fruit (Akebia Trifoliata) Tincture Features and description: NON GMO! Gluten Free! We produced this extract using a cold maceration method of extraction to ensure that the broad spectrum of therapeutic plant compounds ..
Albizia Liquid Extract, Albizia (Albizia julibrissin) Dried Flower Tincture Features and description: NON GMO! Gluten Free! Highest Strength Albizia liquid extract! Albizia liquid extract contains ONLY natural ingredients! High Quality Alb..
Alfalfa Liquid Extract, Alfalfa (Medicago Sativa) Sprouting Seeds Tincture Features and description: NON GMO! Gluten Free! Highest Strength, Super concentrated Alfalfa liquid extract! Alfalfa tincture contains ONLY natural ingredients! High Qualit..
Alfalfa Liquid Extract, Organic Alfalfa (Medicago Sativa) Dried Leaf Tincture Features and description: NON GMO! Gluten Free! Alfalfa is high in protein, calcium and other minerals, vitamins in the B group, vitamin C, vitamin D, vitamin E, and vit..
Alkanet Liquid Extract, Alkanet (Alkanna Tinctoria) Dried Root Tincture Features and description: NON GMO! Gluten Free! Highest Strength Alkanet liquid extract! Alkanet liquid extract contains ONLY natural ingredients! High Quality Alkanet liquid ..
Allspice Liquid Extract, Organic Allspice (Pimenta Dioica) Tincture Features and description: NON GMO! Gluten Free! Highest Strength Allspice liquid extract! Allspice liquid extract contains ONLY natural ingredients! High Quality Allspice liquid e..
Aloe Liquid Extract, Aloe (Aloe Ferox) Dried Leaf Tincture Features and description: NON GMO! Gluten Free! Highest Strength Aloe liquid extract! Aloe liquid extract contains ONLY natural ingredients! High Quality Aloe liquid extract- we use classi..
Aloe Vera Liquid Extract, Organic Aloe Vera (Aloe Vera) Dried Leaf Tincture Features and description: NON GMO! Gluten Free! Highest Strength Aloe vera liquid extract! Aloe Vera liquid extract contains ONLY natural ingredients! High Quality..
American Ginseng Liquid Extract, Ginseng (Panax Quinquefolius) Dried Root Tincture Features and description: NON GMO! Gluten Free! Highest Strength American Ginseng liquid extract! American Ginseng liquid extract contains ONLY natural ingredients!.. American Silvertop Liquid Extract, American Silvertop (Glehnia Littoralis) Dried Root Tincture Features and description: NON GMO! Gluten Free! Highest Strength American Silvertop liquid extract! American Silvertop liquid extract contains ONLY natu..
Amla Liquid Extract, Organic Amla (Emblica Officinalis) Tincture Features and description: NON GMO! Gluten Free! Highest Strength Amla liquid extract! Amla is good source of vitamin C, amino acids, and minerals! Amla contains phenolic comp..
Anamu Liquid Extract, Anamu (Petiveria Alliacea) Dried Herb Powder Tincture Features and description: NON GMO! Gluten Free! Highest Strength Anamu Tincture Supplement! Anamu liquid extract contains ONLY natural ingredients! High Quality An..